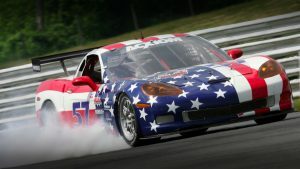 The motorsport industry is a fast-paced and a growing one, attracting new drivers and racing lovers globally each year. The industry is expected to achieve a value of $6.87 billion by 2023, if not sooner. Although many people look towards this industry to gain fame and fortune, that road is long and winding, to say the least. For those who are in it for the passion, there are various steps to take which can grant a foot in the door and potentially give birth to a motorsport career in the future. Whether you’ve raced before or never stepped foot (or wheel) on a track, these tips can get you started. Some drivers may be born with the innate skills of racing within them, but even the best require formal racing education. The Association of Racing Driver Schools is a great resource, to begin with, as they can connect interested drivers to the best racing schools in the UK. These include the likes of Knockhill Racing Drivers School, the Motorsports School and the Silverstone Experience Centre. The fees for these schools can be hefty, so it is vital to save in advance, but each of the advertised schools is licensed and provide everything from basic to advanced training. A part of the motor racing training will naturally be an in-depth look into how the industry works and what you need to become successful. It is essential to research factors like safety (which we cover in one of our other articles), rules and regulations, and how the environment works. Educating yourself in advance will give you an advantage. Practice is the key to this sport, and no racer can be successful without spending many hours on the track. The benefit of joining a racing school or club is that you have access to training opportunities.